Learning in the field results in deeper learning, broader skills and better-prepared graduates. Collaboration with industry and agencies provides students with real-world experiences and problem solving opportunities alongside highly engaged faculty members. Our students not only ask the tough questions, they experience the answers. 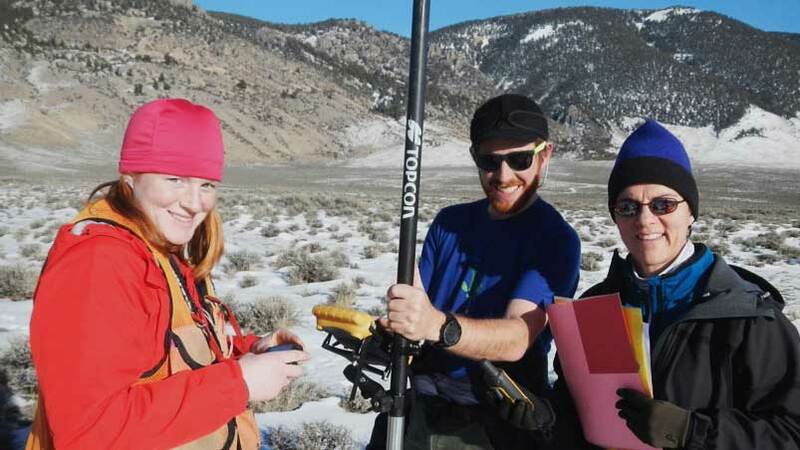 Janet Rachlow, pictured right, a professor of wildlife sciences and her students track pygmy rabbits using aerial technology.